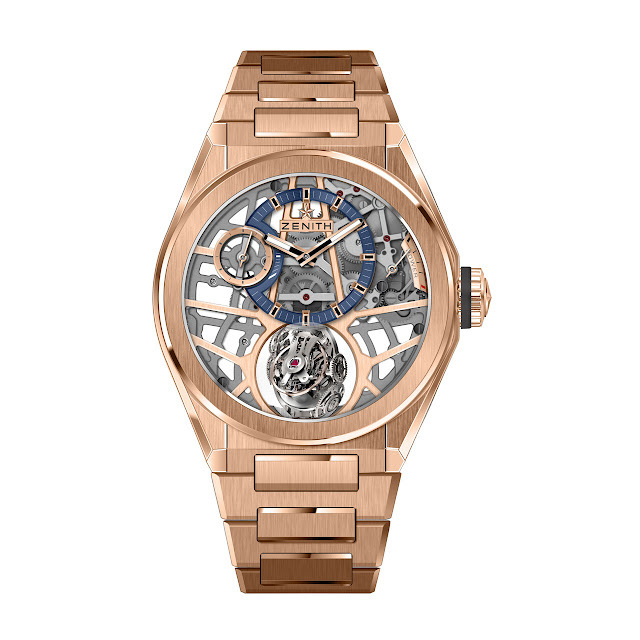 The Defy collection is the embodiment of Zenith’s horological complexity, including the iconic high-frequency Defy El Primero 21 and the Defy Lab, the world’s most accurate mechanical watch thanks to its monocrystalline silicon oscillator. 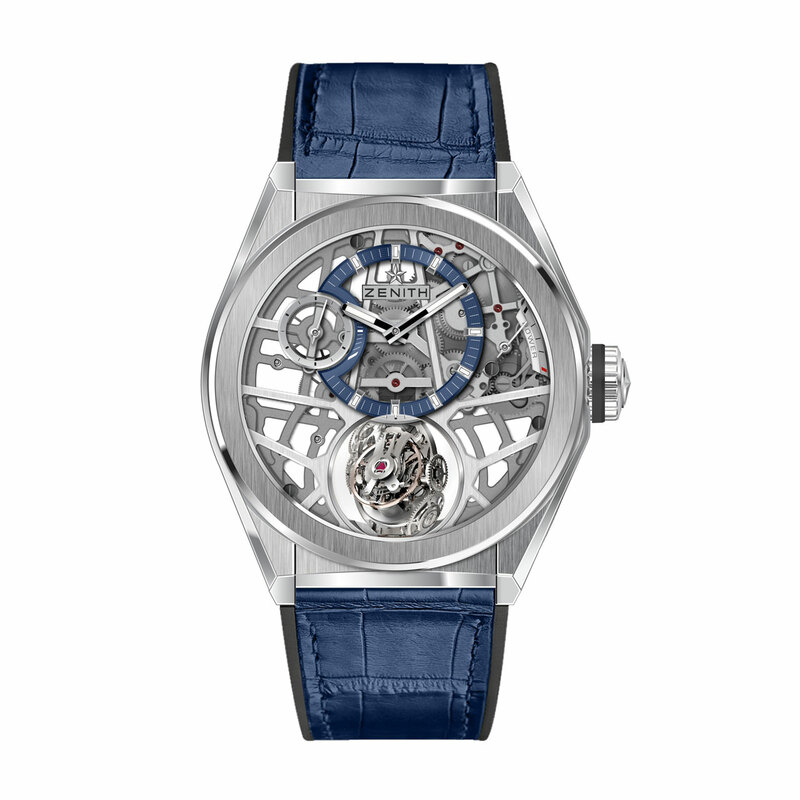 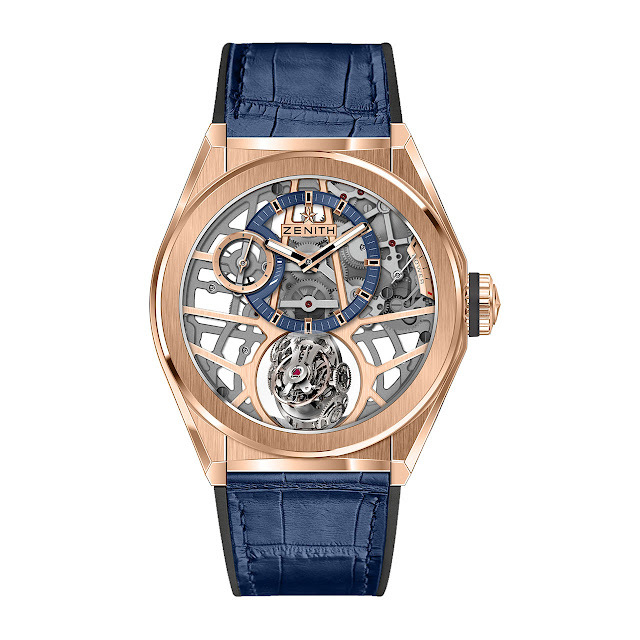 This year, the Defy appears as a full collection, including the Defy Zero G, with gyroscopic “Gravity Control.” The device, fitted here into a skeletonized version of Zenith’s high-frequency El Primero calibre, cancels the effects of gravity by maintaining the regulating organ and balance in a horizontal position. 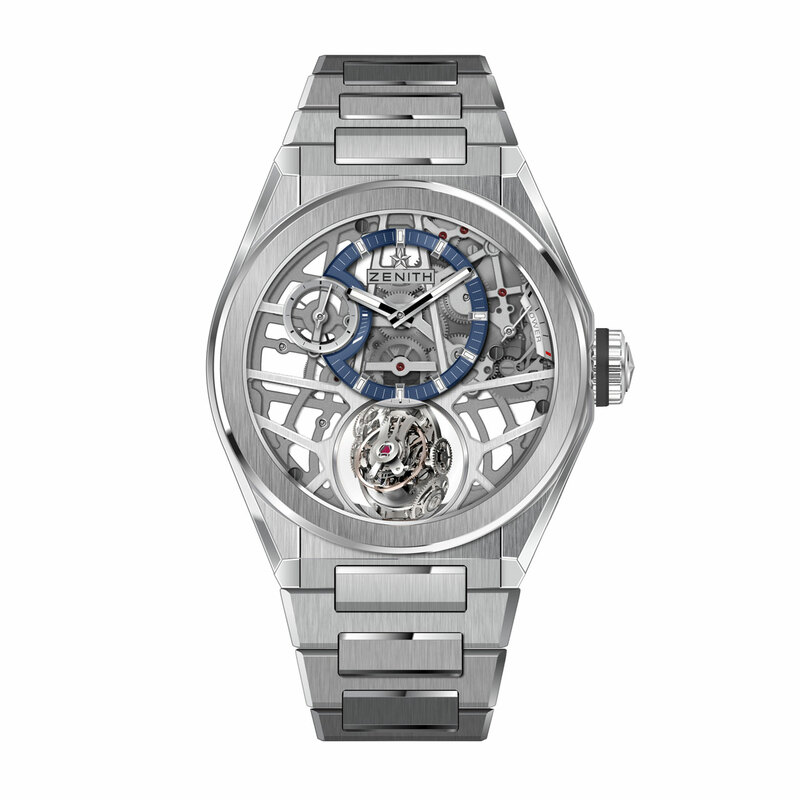 The spherical system is composed of 139 tiny components, which have been redesigned to reduce the module’s dimensions by 70%. This enables it to fit between the two flat sapphire crystals of the Defy case. The 44 mm case is brushed titanium.